Dr. Yoo received her Ph.D. degree in Computer Science from the University of Minnesota, Twin Cities in 2007. She also received her M.S. degree in Computer Science from the University of Minnesota. She studied double majors at college and received two bachelor degrees in Computer Science and Statistics from Korea University (KU, or pronounced as Goryeo U in Korea). After the undergraduate study, she worked at Samsung SDS Co. as a software engineer for over seven years. Dr. Yoo is currently an Associate Professor in the Department of Computer Science at Purdue University Fort Wayne (PFW). She has served as a director of Computer Science Graduate Program in PFW since 2012. Dr. Yoo’s general area of research is data and knowledge engineering. She has worked for data mining, databases, and machine learning for non-traditional data such as spatial (geospatial) and spatio-temporal data, graph/network data, and scientific data. Location-based computing, services, and information are closely related to her research expertise. Her research focuses on understanding computational structures for efficient data processing and data analysis, and developing effective algorithms, methods and frameworks for data-driven knowledge discovery and data management. Her recent works have more concerned big data analytics and big data management with addressing the challenges posed by the growing amount and scale of data. Dr. Yoo is also interested in identifying viable opportunities of Data Science which require theories, methods and skill sets from relevant areas such as machine learning, data mining and statistics, and in developing solutions that have many applications to different sectors of society. The application domains her work has spanned include public safety, public health, biomedicine, biology, education, business, and so on. Dr. Yoo’s research has been supported by the U.S. Air Force Office of Scientific Research, the Air Force Research Laboratory, Microsoft, Purdue Research Foundation, Griffiss Institute/SUNY Research Foundation, Indiana University, and so on. She was an U.S. Air Force faculty fellow, and during summers, as a visiting research faculty, she worked at the Air Force Research Laboratory/Rome Research Site. During her sabbatical, Dr. Yoo was a visiting research faculty at the Korea Advanced Institute of Science and Technology (KAIST), Daejeon which is the first and foremost research-oriented science and technology graduate school in Korea. 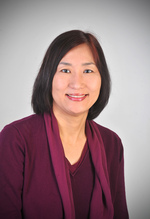 Dr. Yoo has served as a key organizer or program committee for numerous international conferences. She has also worked as the reviewer of top-tier journals such as IEEE Transactions on Knowledge and Data Engineering (TKDE) and IEEE Transactions on Knowledge Discovery in Data (TKDD). She was often invited as the review panel of funding proposals for NSF (National Science Foundation) programs such as NSF-CISE/Big Data, NSF-CISE/IIS, NSF-TUSE, and NSF-CCLI, and other government agency funding program. Students, domain experts and industry people are welcome to work with me in all areas of data mining, big data analytics/management, machine learning, database and related applications. Dr. Yoo teaches courses relevant to Data Science, Big Data, and Database Systems in the Department of Computer Science. Oracle Certificated Database Administrator issued by Oracle Co.
Another work with a previous graduate student is finally published in Intelligent Data Analytics journal, vol 23, no. 2, 2019. A work of a graduate student, Kanita Binzani is presented in IEEE Conference in Big Data, December 2018. A work with a graduate student, David Kimmey, has been published in IEEE Congress in Big Data, July 2018.